The Cessitos serve as our national missionaries for the Ray of Light project. Noemia came from Brazil to Mozambique in 1984 during their civil war and worked as a missionary nurse when she met Jeronimo, who was attending seminary. They feel God’s call to help the poorest of the poor by serving as pastors of the Dondo Baptist Church and as our project leaders. The Ray of Light project is located 20 miles inland from the port city of Beira in the twin villages of Dondo and Mafarinha. Both communities suffer from high rates of malaria and AIDS and regularly visit witchdoctors for healing. The Ray of Light project operates a medical clinic and the Tessa Grace Nutrition Center for malnourished babies and their mothers. One of its programs, Project Life, gives direct aid to widows through food pantry services and our Green Door ministry. And since 2004, our schools have grown from 60 to over 600 children spread over three campuses. In 2007, Ercylio was a high school student assisting CRI with translation in Mozambique. His dream to attend a public university to study Internet and Computer Communications was a financial impossibility. But through the generosity of a sponsor, CRI secured him a scholarship. During his second year of university, Ercylio saw significant percentages of young men who dropped out of high school and did little with their lives afterward. He realized that his only reason for escaping this same situation was due to the scholarship given to him. And the vision for Spark of Hope was born. Ercylio ministers to about 50 men through the sport of handball. He lives in Dondo with his wife, Ana. Because their ministry is located alongside a well-known holy river, their city is filled with temples. People come from all over to bathe in its waters and pray in the temples. Our national missionaries, Pastors Isaiah and Ananth (we affectionately call them the “G. Brothers”) are persistent in their desire to bring their people to Christ. We call our project with them "King of Kings". It includes a home for desperately poor children, supporting native pastors in the nearby deep forest region, carrying medical aid into its villages and providing microloans to women in a rock quarry. Jean and Jean-Marie were both born and raised in Haiti until their pre-teen and teenage years, when they moved to the United States with their families. After the devastating earthquake that struck on January 2010, the church has experienced exponential growth, but most of the pastors and lay leaders have little to no theological training. The Lord has placed a burden on their hearts for Haiti. The Josephs’ passion is to help bring training to those who have none. God has blessed them with a theological education in the United States, and they believe that God can use them to help fill this need in their country through a Bible school. Jean-Marie desires to begin a ministry to care for orphans and disciple women who live in oppressive circumstances. Their prayer is for God to give them strength and wisdom as they prepare to return to their home country. Nearly three decades ago, Smriti became a Christian after growing up in a Hindu family. God called her to be a missionary, first with another organization, then with CRI in 2007. Smriti takes Christ to children, young girls, abused women, and widows—those desperately in need of his touch. We have given her the nickname “Mighty Mouse,” as she is fearless in standing up and defending the one true God in a city filled with gods. This project takes its name from the damp alleyways of her city. In these mudpaths, Smriti offers a one-year preschool program, tutoring for elementary aged children, and Sunday School in four different slums. She formed relationships by taking prayer walks, and when allowed inside families’ homes, she would pray for the sick and invite the children to her club. Her staff teach English, sing songs, and share Bible stories. She has started a Bible Club for children whose mothers work in the red-light district of the city. When all programs are combined, she ministers to over 300 children weekly. Manuel’s life is incredibly busy, but from his quiet and calm demeanor, you would never guess it. Trained as a pastor in Zimbabwe, Manuel returned to Mozambique with something he knows most in Africa can never possess—an ability to understand and teach the Word of God. This weight of responsibility has propelled him into a life of many ministries. Manuel is a professor at Bible schools in both Beira and Dondo. He trains young men in the handball ministry, Spark of Hope. He also pastors a church out in the bush, a place of extreme poverty, lack of education, and hunger. As the leader of Green Door, Manuel works to meet another deep need in Mozambique: safe, sturdy houses. He supervises two crews that build high-quality cement block homes, as well as latrines, for widows, orphans, and the disabled. This ministry takes the most vulnerable in Mozambique and provides them with security and dignity. Manuel and his wife, Ramizia, have three children. In late 2010, Jackson and Blessing prayed that God would open the doors for them to receive their first students. One year later, they opened the doors to the Grace & Knowledge Academy. They have 100 children attending their Bible Club weekly and 98 students are enrolled in their pre-school through third-grade classes. In 2014, Jackson completed his Ph.D. from Dallas Theological Seminary, and in October, they moved back home to Nigeria with their daughter, Mayo. Lian grew up in a remote village in Myanmar. The oldest of six siblings, the family responsibility fell on him at an early age, especially after his father died. Lian’s aim was never to become a theologian or pastor, but a political situation that sent him to a new country and untold hardships in that strange land were obvious signs to him of God’s call to ministry. Lian is married to Lun, and it was only after they were married that he felt fully able to fulfill God’s plan. Recently graduated from Dallas Theological Seminary, Lian joined CRI in late 2011 as we helped him start the Shalem Christian Academy. In Myanmar, many parents work all day in the rice fields and are too busy, too poor, and too tired to send their children to school. Lian and Lunnu’s vision is to bring these children, especially orphans, into their Shalem Christian Academy. The name Shalem is Hebrew, meaning “complete, whole, and perfect.” Their goal for their students is to teach them not only how to survive, but to love God, love their neighbor, and be useful to society. Pastor Martin grew up in South Sudan (at the time, Sudan). Just after he was born, his father left. At four years old, he lost his mother. When the war in South Sudan broke out, his older brother and sister died. 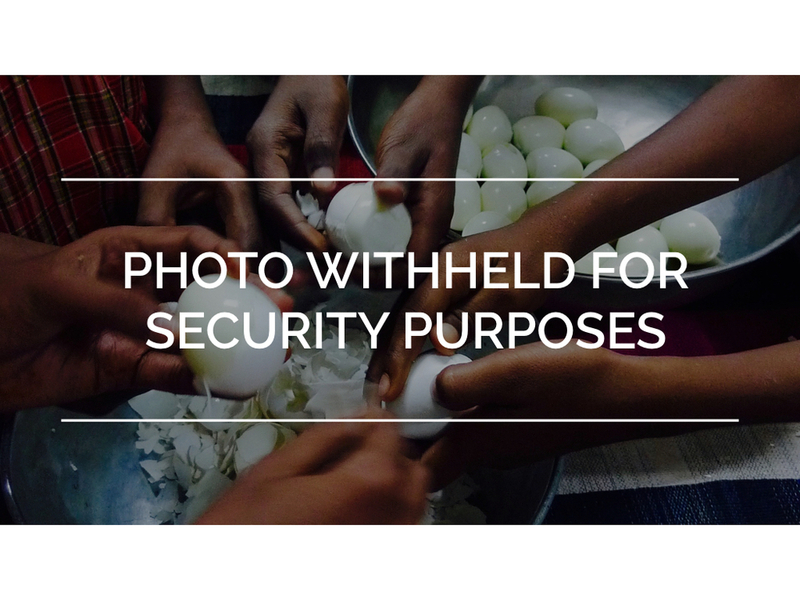 The government forced Martin to become a child soldier. He spent two years on the frontlines before he escaped to Egypt. There, a Canadian church led him to Christ and awarded him a scholarship to Victory Bible Institute. In Cairo, Martin met his wife, Rita. 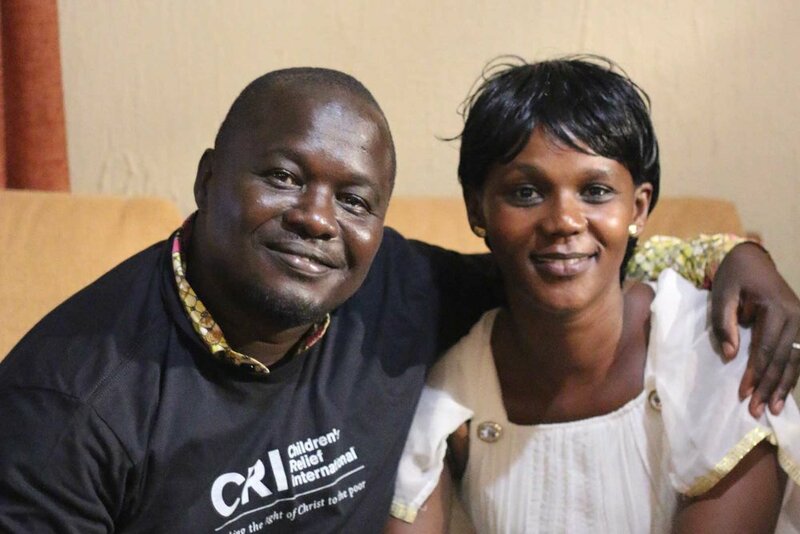 She shared his calling—to serve displaced and abused South Sudanese women and children. When Egypt became unsafe for refugees, the couple fled. In Israel, Martin met a friend of Alan and Melody Pierratt, the founders of CRI. When Martin explained his calling, the friend put him in contact with CRI. In 2010, Martin and Rita returned to South Sudan to begin the Children of Light Mission. When war broke out again, they moved to Uganda. In 2018, they joined our team. Martin and Rita have five children. As our international partners over the Children of Light Project, they care for women and child refugees in the Kiryodongo Refugee Settlement and in Kampala. Their vision is for people of different tribes to live in peaceful coexistence through the example of Christ.